The book is a real eye-opener for those who would have never believed that the city once known as ‘Baghdad on the Bayou,’ referring to its oppressive climate and its brackish waterway, was anything but a cultural wasteland. Author Vicki Welch Ayo and I have never actually met, but we share a similar adolescent experience. The very first rock concert we both attended as teenagers was a performance by a local group called The Sound Investment, a garage band from South Houston fronted by a charismatic vocalist named Ray Salazar. The year was 1967, and in the high school semester before the “Summer of Love,” Houston, Texas, was experiencing a cultural renaissance. This was a period of creativity and progressive thinking that was reflected in alternative lifestyles, hippie fashion, visual art, and most important, the music. 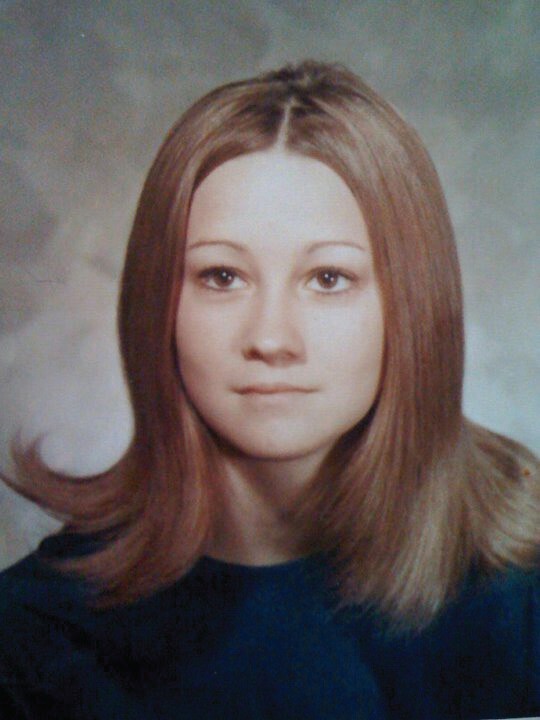 Vicky Welch Ayo at 17. Three years had passed since the “Fab Four” first appeared that eventful Sunday night on the Ed Sullivan Show, and from that point on, in the living rooms, basements, and garages of America, boys and sometimes girls were hard at work, on a grassroots level, honing their craft in an attempt to emulate their mop-top heroes. This was also an era in Houston, Texas, when music was everywhere, and on any given weekend, local bands were performing for their peers in high school gymnasiums, fraternity houses, and neighborhood shopping malls. The soundtrack to this special era was provided by Texas bands with the names of A-440, The Coachmen, The Coastliners, The Clique, The Crabs, The Sixpentz, The Fun & Games Commission, The Children, Thursdays Children, Lost and Found, Red Krayola (with Mayo Thompson), The 13th Floor Elevators (with Roky Erickson), Fever Tree, Bubble Puppy, The Moving Sidewalks (with Billy Gibbons), and Zakary Thaks, to name just a few. 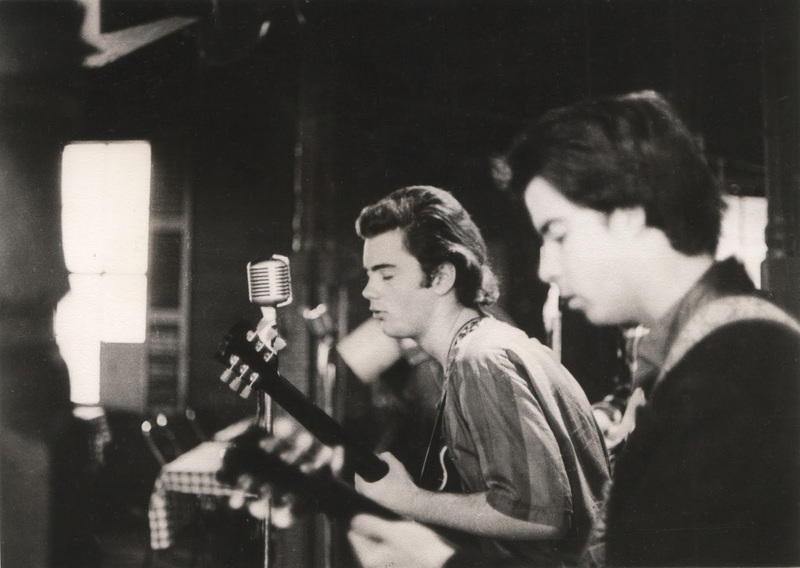 Roky Erickson and the 13th Floor Elevators at the New Orleans Club, 1966. Photo © Robert Simmons. Image from Boys From Houston. Although not all of these bands originated in Houston, they all performed in Houston clubs, recorded in Houston studios, and their records were played on Houston radio. 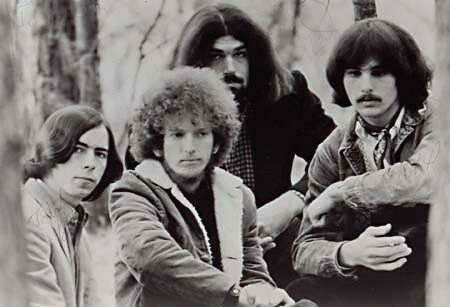 Their music was embraced by Houston teenagers, and some of these bands and band members even went on to make a name for themselves in the national music arena. First-time author Ayo speaks to those baby boomers who, like herself, share a collective memory of coming of age during the 1960s in Houston, in teen clubs like The Living Eye, Love Street Light Circus, La Maison, and The Catacombs, and in “head shops” of the era like The Electric Paisley, Dirty Jim’s Dry Goods, and Houston Blacklight & Poster Company. Boys From Houston is a real eye-opener for those who would have never believed that the city once known as “Baghdad on the Bayou,” referring to its oppressive climate and its brackish waterway, was anything but a cultural wasteland. 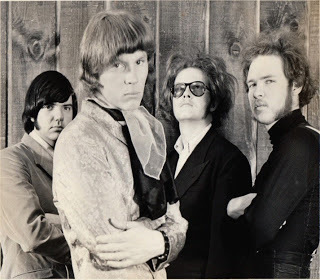 The Moving Sidewalks: From left, Dan Mitchell, Tommy Moore, Don Summers, and Billy Gibbons. Photo courtesy Rick Campbell. Image from Boys From Houston. Ayo chronicles the time period from 1965 to 1970 with near-encyclopedic accuracy, and explains what key ingredients contributed to this creative and historic time in a town not necessarily known for tolerance or for having an enlightened outlook toward social change. Up and down the streets of the neighborhoods of Houston the sound of bands practicing in their garages and living rooms could be heard day and night. New sounds, fun sounds, and exciting sounds of guitars, basses, drums and keyboards that claimed we are here and we have something to say. Ayo does have a tendency to overly romanticize this time period and eschews writing about those musicians we lost due to their fascination with the dark side who were added to the roster of Houston’s rock & roll casualties. These were individuals whose promising careers were cut short, and who left us wondering where their talent would ultimately have taken them had they lived. Bubble Puppy. Photo courtesy of Dave Fore. 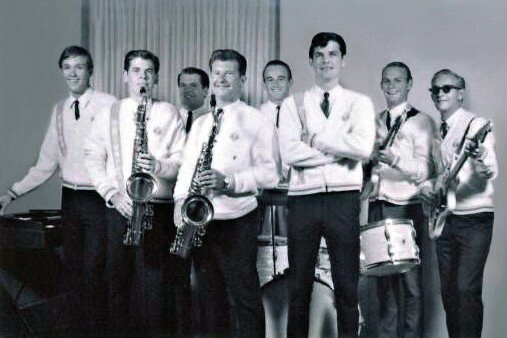 Image from Boys From Houston. Tragically, three prominent guitarist/songwriters of this era with ties to Houston — Steve Perron of The Children, Stacy Sutherland of The 13th Floor Elevators, and Michael Knust of Fever Tree — all died prematurely, and their all-too-early deaths were unfortunately linked to reckless behavior, an excessive lifestyle, addictive personalities, and substance abuse. Still equally sad is how some of the key players of this era grew into adulthood and abandoned their musical ambitions only to buy into the trappings of the generation they strived to become an alternative to. Some were lured by Houston’s petrochemical industry, some by the promise of riches in real estate development; and still some have been seen over the years pandering to conservative Texas politicians and other special interest groups. 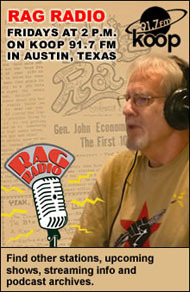 Ayo reveals how this special point in time could not have occurred without the help of rival AM radio stations, KILT and KNUZ, who made a commitment to the community to provide radio airplay to records produced by local talent, as did Houston’s first progressive free-form FM station, KFMK. This was a time before corporate greed and radio programming consultants redefined the concept of broadcasting into one of “narrowcasting” by creating new radio formats that restricted the quantity and genre of music introduced into the marketplace. Ayo also gives accolades to local music columnist Scott Holtzman, whose weekly column, “Now Sounds,” in The Houston Post, gave invaluable print exposure to the city’s burgeoning music scene and youth culture. Holtzman, with his wife, Vivian, would go on to produce and manage Houston’s psych/pop export, Fever Tree. B.J. Thomas and the Triumphs. Photo courtesy Don Drachenberg. Image from Boys From Houston. This was the issue with the iconic photo on the front cover of the late Doug Sahm and his toddler son, Shawn, who is seen wearing an oversized cowboy hat. 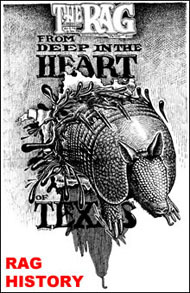 It is also the issue, thanks to Sepulvado, that first exposed the nation to Beaumont native and guitar virtuoso, Johnny Winter. Finally, Ayo acknowledges the contribution made by disc jockey-turned-TV-host, the late Harry Lieberman aka Larry Kane, who hosted a teen dance show Saturday afternoons on KTRK-TV for more than 11 years. The Larry Kane Show broadcast both local Houston and Texas bands lip-synching to their new 45 rpm singles on the air while adoring fans in the studio audience danced to the infectious backbeat of the music. Vicky Welch Ayo, who now resides in Southern California, spent eight years researching this self-funded labor of love, and after shopping her unfinished manuscript to both UT Press and Texas A&M Press for their “Texas Music Series,” she opted to self-publish, under the company name, CreateSpace Independent Publishing Platform, in favor of editorial control. 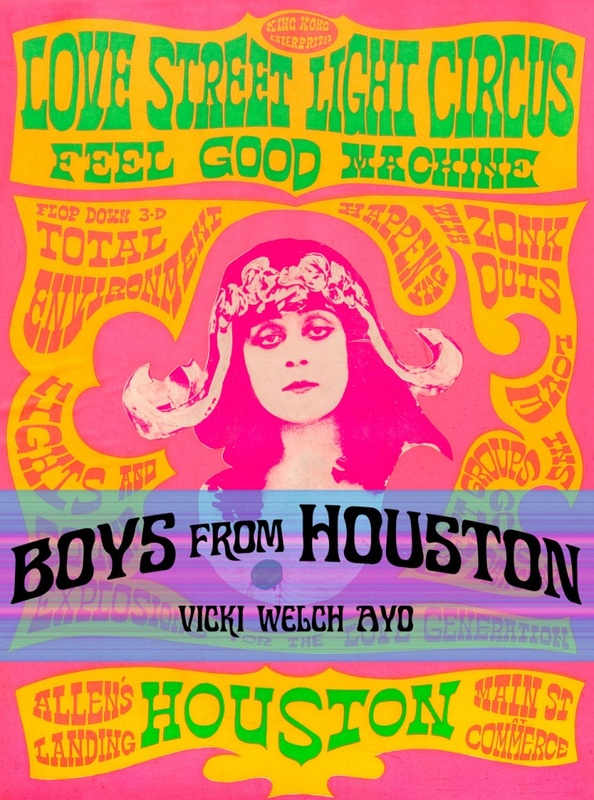 Boys from Houston is a fun read and is recommended to all those who ever wondered about Houston’s once-glorious musical past. It was a special time in the most unlikely of cities whose once-thriving music scene vanished as mysteriously as it appeared. My only burning question is, “What happened?” Perhaps Ayo could address this issue in Boys From Houston, Volume II, which I understand she is in the process of researching. 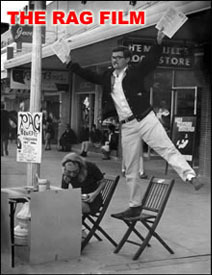 Also see “Houston Was an Unlikely ’60s Hotbed,” by Thorne Dreyer, originally published in Boys From Houston. 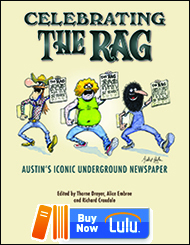 This entry was posted in Rag Bloggers and tagged Books, Boys From Houston, Houston History, Houston Music Scene, Ivan Koop Kuper, Sixties, Sixties Music, Vicki Welch Ayo. Bookmark the permalink. While ya had to be there to appreciate the creative vibe of the era, Ayo does the genre justice. The scene fizzled as we grew up and desired more sophisticated tunes.